We had a short drive to get to Snow Mountain Ranch today, coming from Loveland, Colorado. With no snow in sight, and the car thermometer recording 60 degrees as we traveled through Denver, I admit to having qualms about all this. Could it really be all that different up there in the mountains? It didn’t look like it as we began our ascent into the hills. Fortunately, the higher we went the more the temperature dropped and the snow mounted. We saw snowboarders and back-country skiers on the roadside. I began to breathe more easily again. 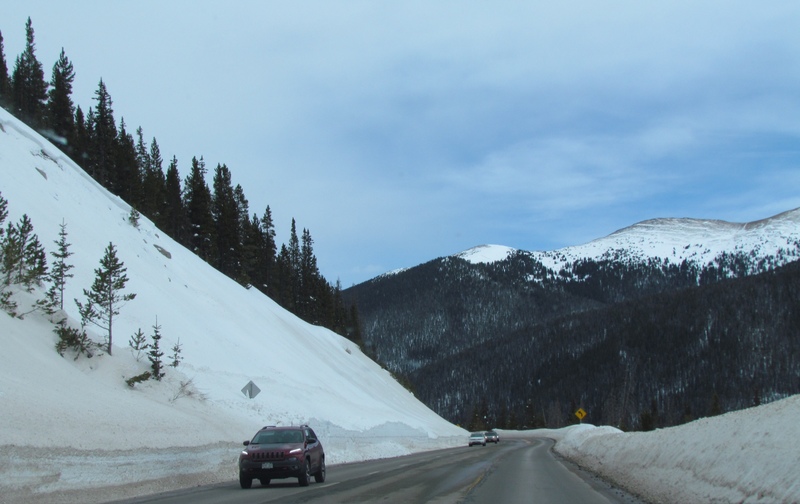 Although it was a balmy 40 degrees when we reached Snow Mountain Ranch, the high snowbanks were reassuring. We were given a quick tour of the extensive grounds and facilities at the center, leaving us eager to explore it all. It didn’t take long to settle into our room. While small and bare bones, it has a marvelous view of the mountains and is conveniently connected to the main lodge. With a free afternoon, we did the only sensible thing – head for the ski trails! We started at the Nordic Center to get our ski passes and met the first of many friendly fellow volunteers. They went out of their way to make us feel welcome. This was starting to feel really good. 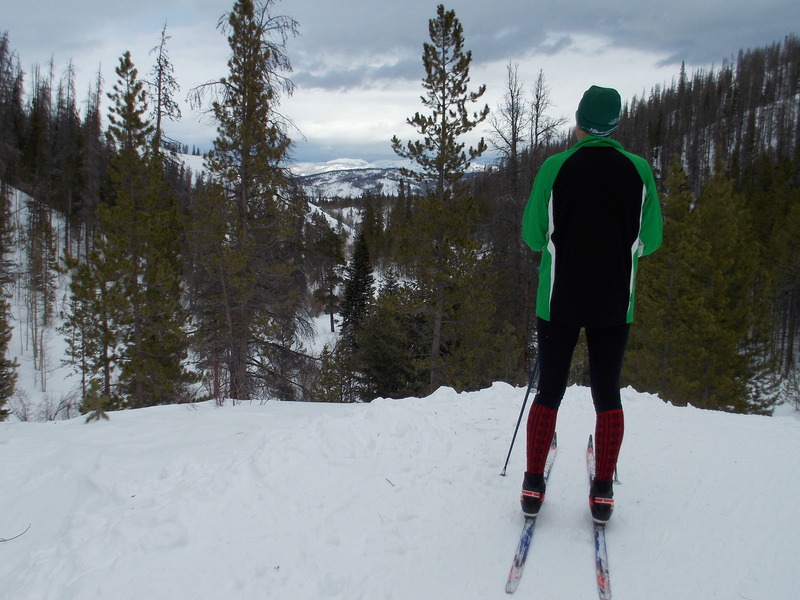 We planned a short reconnaissance ski, checking out the trails, snow conditions and terrain for the first time. Rich and I skied together, not pushing ourselves and just enjoying the newness of it all. We have three full weeks to explore all 100k of trails after all. We did find that the altitude took its toll – I was quickly winded on the uphill climbs and confess to having to stop to rest along the way. Hopefully our bodies will acclimate before long. It’s all still so new to us, but we’re already convinced we’re going to like it here. Good thing as this is our home away from home for the next three weeks. 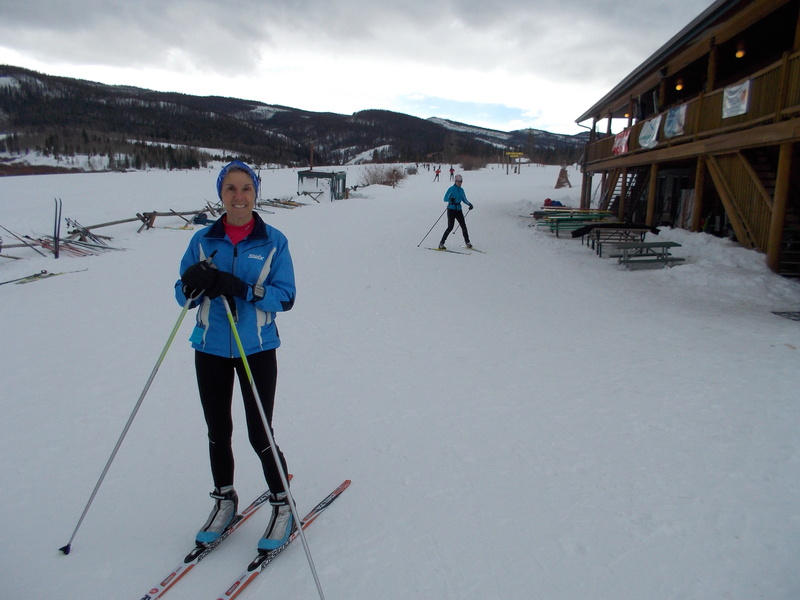 This entry was posted in Keeping Fit, Travel and tagged Cross-Country Skiing, Rocky Mountains, Snow Mountain Ranch, Travel by Molly. Bookmark the permalink. Take it easy in the high altitude, and drink lots of water – more than you think you need. It really helps!